One question we get frequently is, “How do I backup my data?” or “What is the best way for me to back up my data?”. There are a lot of excellent ways to keep your pictures, videos and documents safely backed up, but I’m going to introduce you to one cost effective, easy way to accomplish this. That is, if you have or want an amazon.com account. 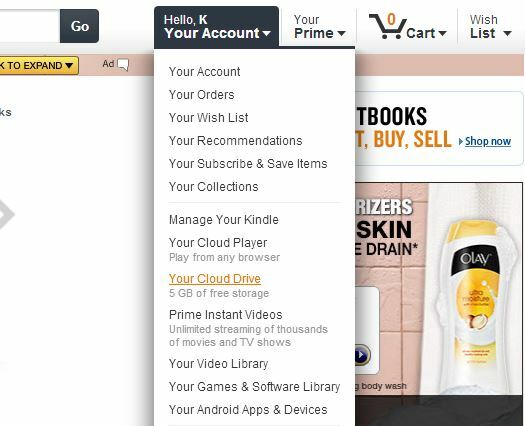 Amazon has a service called Amazon Cloud Drive that will install a backup folder on your computer. 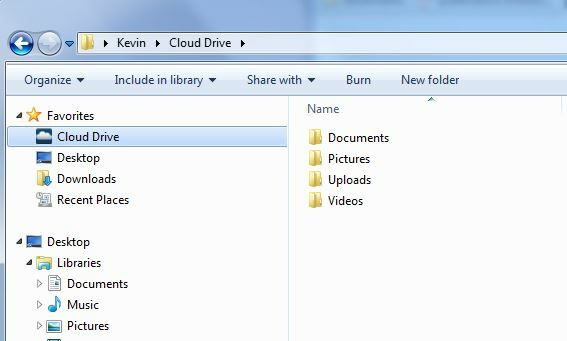 This folder will be called Cloud Drive. Any files you copy or save to your Cloud Drive folder will be automatically backed up, in the background, without interrupting anything else you might be doing on your computer. You can install this folder on other PCs, allowing you to sync your work and home computers easily. Just FYI, Depending on how many GB you need to back up, it may take a while the first time you copy files and folders to Cloud Drive. The best way to use Amazon Cloud Drive is to copy the folders that contain your important files to the Cloud Drive folder and as soon as that is done, always open and save files directly from there. When you install the program on a second computer, it’s best to let the files download, and then manually organize the files structure so that you can copy important files from your second computer without losing track of where everything is. Another nice feature is that you can access all of your files, from any web browser, just by logging into your Amazon account. Just hover over the Your Account tab and select Your Cloud Drive to get started. So what does all this cost? Well, at the time this article was written, you get your first 5GB free and after that, you pay the following amounts, depending on your plan.